2004 Topps Wacky Package Original Sticker Card Art! Welt's. This exclusive ebay auction features a one-of-a-kind original painting used in the process of creating this 2004 Topps Wacky Packages parody sticker. 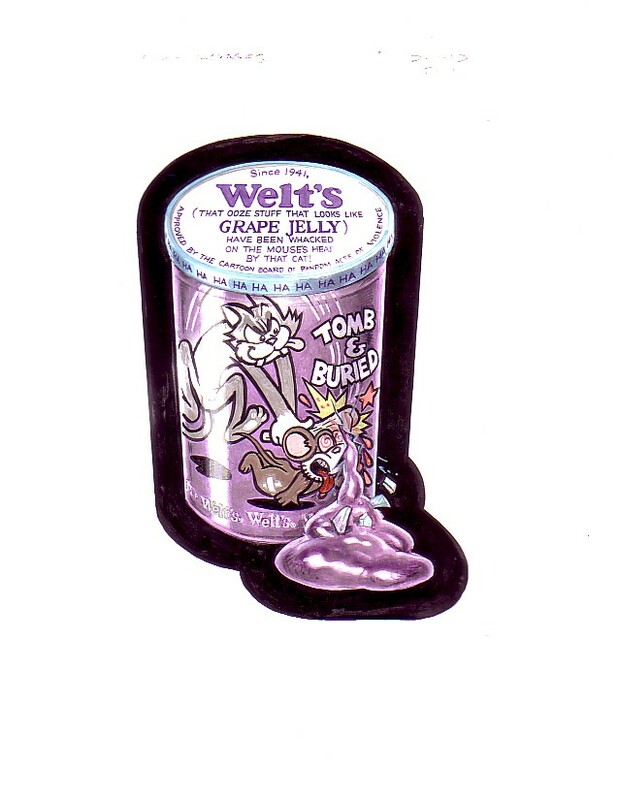 Topps commissioned artist John Pound to create this colorful parody of the Welch's grape jelly jar. Art board measures 8 1/2 X 11" in size and is in excellent condition. Highly-collectible, this highly-detailed artwork will look simply stunning matted and framed. Original painting is signed and dated by the artist. One of the BEST!!! All Topps Vault auction lots come with a certificate of authenticity. Collectors, please visit our other special Wacky Packages auctions on ebay today!! !